Eating healthy isn’t always easy. This is especially so when your schedule demands that you be out of the house and away from healthy options on a regular basis. What you choose for a “snack” can energize you or flatten you out and have you hitting an afternoon wall. So, what can you do to get a little mid-morning or late-afternoon pick me up without destroying all your focused weight loss or weight maintenance efforts? Consider bringing along a few pieces of fresh fruit to settle the snack debate while making sure your body is fueled properly. Fruit is packed with nutrients – From the vitamin C in citrus fruits to the potassium packed into bananas, the options are incredible for boosting overall nutrition. If you want to increase your antioxidant intake, fresh berries also make a quick and easy snack. 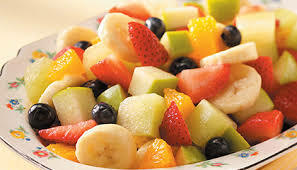 Fruit is highly portable – Fresh fruit tends to come in its own packaging and is very easy to grab and go. There’s no reason to even take pause to grab a bag or container if your daily snack is an apple or banana. Preparation isn’t an issue – Creating healthful snacks to take along when you’re on the way out the door can take time. When fruit is your option of choice, there’s no real time involved. Just select your favorites and they’re great for you – just the way nature made them. Bananas – They come in their own container and don’t have to be refrigerated. Plus, they’re high in potassium, vitamin A, phosphorus and other beneficial nutrients. Look for a greener banana compared to a ripe sugar loaded banana. Apples – They’re also highly portable and have a variety of vitamins including A, B1, B1, Niacin and others. They’re also high in fiber and potassium. Berries – While blackberries, blueberries and other similar options might require a baggie, they are sweet when it comes to nutrients. 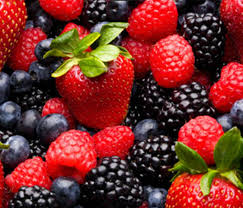 Berries tend to be high in antioxidants and they also are infused with vitamins and minerals. Oranges and other citrus – These come in their own packaging and are great choices when you need something sweet that happens to be packed with vitamins and minerals. Avoid juices and go with real fruit. If you’re eating to compliment and empower your health, be sure to work exercise in the routine, too. The experts at your local gym or a personal trainer can help you get started on a path that improves health and energizes you at the same time! If you’re looking for exceptional results and a fantastic experience I highly recommend taking advantage of your Free Fitness Coaching. You will be glad you stepped forward to gain health and fitness in the quickest amount of time.